According to one of the leading antivirus protection providers, more than 100,000 new samples of malware are identified every day. This equates to 69 new threats per minute, more than one every second. While numerous government agencies and private companies work towards neutralizing these threats, the most effective way to reduce the problems associated with malware is educating the public on avoiding these pitfalls. This is what the government has to say about protecting your digital information and identity. Malware is a catch-all term for harmful software. Avoiding specific threats is easier when people know what terms like “malware” and “virus” mean. Though often used interchangeably, there are clear distinctions among all of these terms. Malware – Malware is a catch-all term referring to any of the terms below. Malware is malicious computer software that harms the computer or steals information from the user. The “mal” in “malware” derives from the word “malicious”. The scammer sends an email asking for personal information like names, phone numbers, account numbers and passwords. The Phishing email often attempts to look like an email from a reputable company, such as PayPal or Amazon. The scammer lures users to a website to steal sensitive information. The government frequently finds phishing websites that are designed to look like reputable company websites. These are often identified by a slight misspelling, such as “Wal-Murt” instead of “Wal-Mart”. Spyware – Spyware is usually designed to find out where you’re going online and send that information to third-party advertisers, who in turn badger the user with ads, most commonly pop-up ads. Spyware often piggybacks its way onto computers via a downloadable app, like a screensaver, game, or music app. Trojan Horse – A Trojan horse is a piece of software or app that claims to do one thing but actually does something more sinister. Trojan horses often hide in downloadable files and apps like spyware. Virus – You’ll hear most of the malware on this list called “viruses,” but a true virus is an executable file that harms the computer’s software or files. Viruses have to be activated to work; otherwise, they just sit harmlessly on the computer. 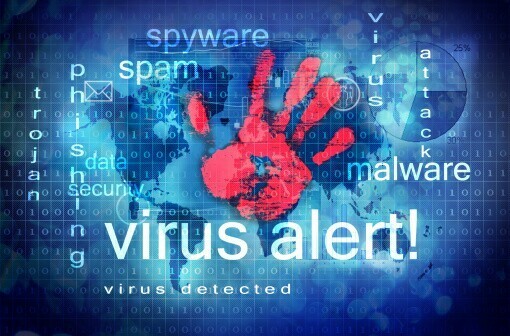 Viruses most commonly arrive via an email or when the user visits a malicious website. Worm – Unlike a virus, you don’t have to do anything to trigger a worm. It can “worm” its way in and infect your files and software without the user doing anything. Worms are also different from other types of malware in that they use the system to find and infect other computers. First, learn to recognize signs of phishing for information. Never reply to an email to offer sensitive information or follow a link in an email to do so. Instead, contact the company the email claims to be from and find out if they need anything. Most reputable companies won’t ask for sensitive information via email or a link within an email. Be wary of emails with misspelled words or poor grammar. These are tell-tale signs of scams. Pay attention if your antivirus software warns you against visiting a website. Next, learn to safeguard the information on your computer from local intruders, as well as online intruders. Log out of accounts before leaving your computer. Lock your computer with a secure password that only you know. Disconnect your computer from the Internet while you’re away. Set your security settings as high as possible to still allow necessary operations. Install a reputable antivirus software that includes protection from all malware threats. Update your malware protection regularly and run scans periodically. Look for the security symbol that indicates a secure webpage before entering sensitive personal information. 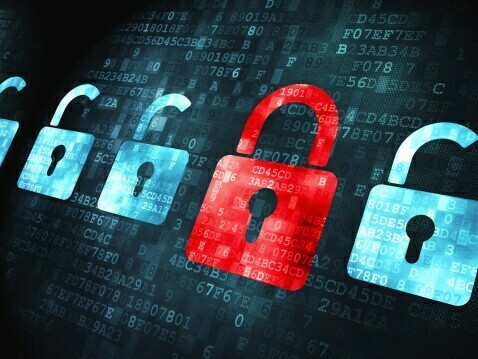 Secure websites feature the padlock symbol and the URL reads “https” instead of just “HTTP”. Use safe, secure searches that don’t steal information from you while you are browsing online. It’s 2 a.m. Do you know where your identity is? Develop secure passwords using random sequences of numbers, upper case, and lower case letters. Avoid passwords that include easy-to-guess information like the names or birthdays of family members or pets. Change your passwords regularly, and don’t ever use a single password for multiple accounts. Consider using two-factor authentication for your most sensitive accounts. Two-factor authorization requires you to receive and enter a code via text message or a phone call, in addition to entering your username and password. Then hackers can’t access your account without your phone. If it’s a work computer, notify your supervisor and your network administrator. Don’t be too embarrassed; stopping the malware is more important than placing blame. For a home computer, report the incident to any organization involved in the event, such as your bank if you fear your banking information has been stolen. If the intrusion involves another company, such as one the website or email tried to impersonate, notify them as well. You can also call the police if identity theft has happened, as well as the Federal Trade Commission, which prosecutes hackers and identity thieves. SearchLock is a safe, secure way to use the Internet without fear of that search information falling into the wrong hands.